Are you heading back to school to study aviation? If you are currently or plan to be enrolled in an aviation educational facility or program of study this fall, take advantage of the Avjobs Student Discount! Eligible participants receive an extended free service period added to the end of an existing account’s regular billing cycle. You can read more about this discount program and others by visiting our discounts page. 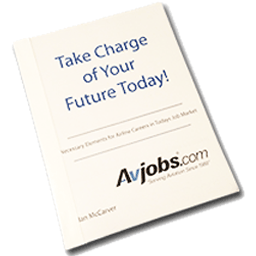 Or, bring yourself up to speed on the many career choices the industry has to offer with the Avjobs Career Guide. This guide provides comprehensive job descriptions for over 75 aviation careers! You might just come across an aviation career path you never new existed! Either way, see the possibilities and what opportunities are available and what they might mean for your future in aviation.